After my long bike ride on Sunday I asked a question that I’m sure had been asked a million times before. Why don’t they make bike seats comfortable? I mean what is the point of making them as painful as possible? Doesn’t seem logical. I know from experience and from the dozen or so real bikers that yell at me via Twitter whenever I complain about an ouch in my crotch/bum area that biking shorts make a huge difference. It is obviously a scam of the biking industry. 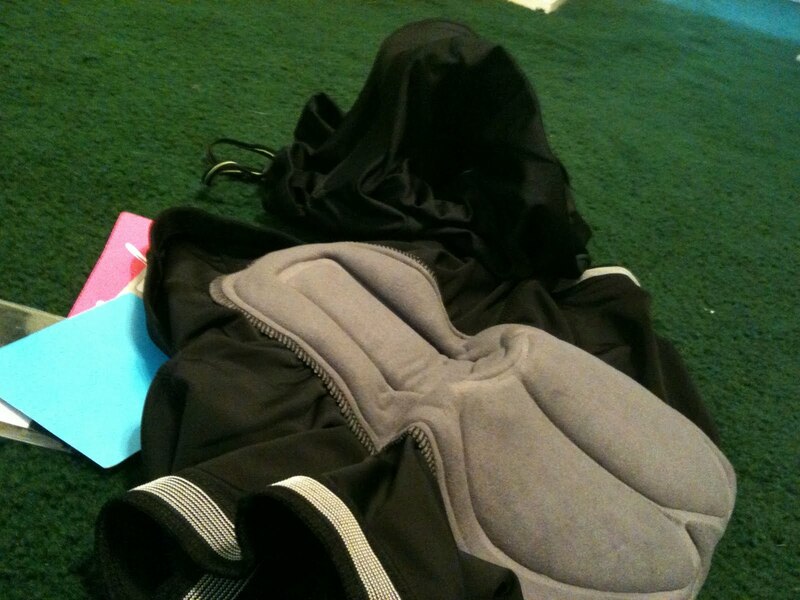 Why they feel they have to put super duper padding in your shorts, so you feel like you are walking around with a load in your pants, vs. just adding padding to the seat is beyond me. The only “biker short” I currently own are sewn into my very pastel colored tri-suit. I’m not riding around LA looking like an Easter egg. So Monday I made my way to REI’s online site and found some women’s biker shorts on clearance. Today they showed up. Holy Adult Diaper Batman! These things are not kidding! I took a picture (above) for you to get an idea of what I’m dealing with here. The one pair I turned inside out so you can see the additional crotch/bum padding. The second I poised behind … standing on it’s own … like a ghost of the bike seat it never was. I haven’t tried them on but I’m pretty confident I’ll look ridiculous wearing them. Oh well! At least there will be less crotch ouch!